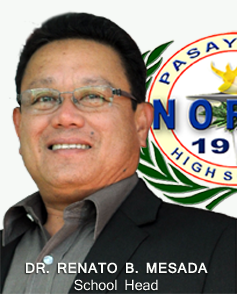 With all humility and honor, I welcome you, as the school’s principal, to the official website of Pasay City North High School- M. dela Cruz. This website will serve as an avenue between DepEd, the students and the parents which hopefully would give important information about the school- updates and policies. I hope that through the 21st Century’s innovation in technology will help everyone be connected which perhaps cement an unmovable camaraderie with each other. 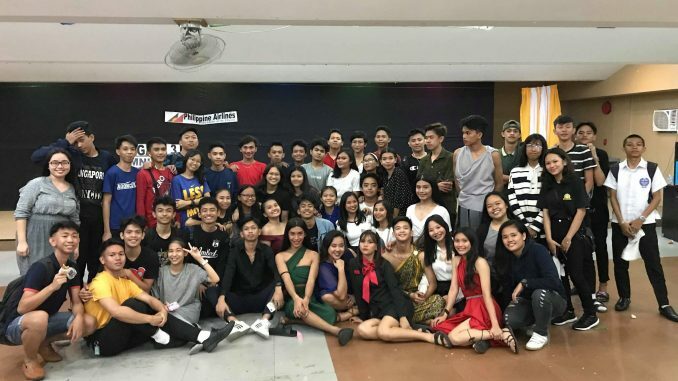 Building on the success of last year’s play The Legend of Tibiao River, the Grade 10 students, with the supervision of their English teacher, Dayanara Acosta Empuerto, presented their new offering of Tala: A Hero’s Quest last February 14 – 15, 2019 at the school audio-visual room. While last year’s play was a modern adaptation of William Shakespeare’s A Midsummer Night’s Dream, this year’s production focused on mythology but with a Filipino twist. It starred Leinard Zafe as Tala, as 16-year old girl who discovers that she is a demigod, and a daughter of Zeus, the Greek sky god. She was taken by Athena, and trained with Psyros, son of Psyche and Eros. In the end, she must face Hera, queen of the gods, who was furious because of Zeus’ infidelity. Almost all students from Grades 7-12 watched the play production at assigned times. Grade 7 students were the first audience who viewed the play on February 14 at 2:30 pm. February 15 was the main show date, as it played host to three shows: Grade 10 and 12 students entered the AVR at 7:00 am followed by the Grade 8 and 11 at 10:00 am. The last and final show was witnessed by Grade 9 students. 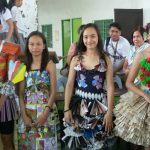 All teachers were invited to the show, which garnered positive and negative feedback. 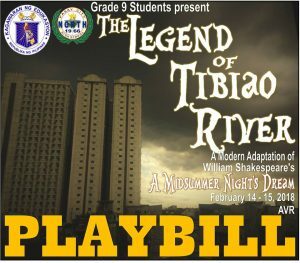 The negative feedback centered on the comparison to The Legend of Tibiao River. 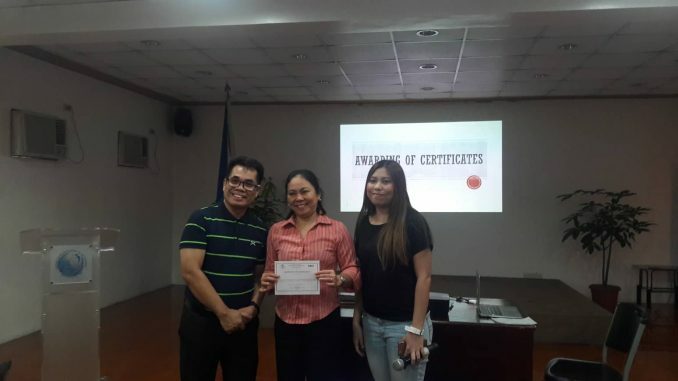 English Department Head, Mrs. Almera M. Alkuino, Head Teacher III, proudly bore the seal of the Division of City Schools – Pasay City during the Live-in Item Writing Workshop hosted by the Bureau of Education Assessment (BEA) through the National Educators Academy of the Philippines (NEAP) held in Marikina City last January 28 – February 1, 2019. Mrs. Alkuino joined the 11 participants from different cities in the National Capital Region (NCR). The participants were deemed experts in their respective fields. Mrs. Alkuino was one of the only two contributors whose expertise is in English. 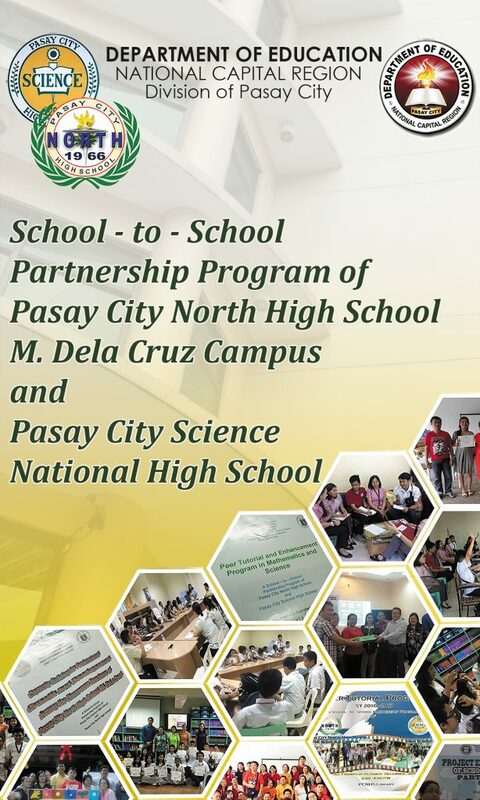 Pasay City North High School – Main Campus triumphed at the Second Interscholastic Examinations at the Manila Adventist College last January 27, 2019. 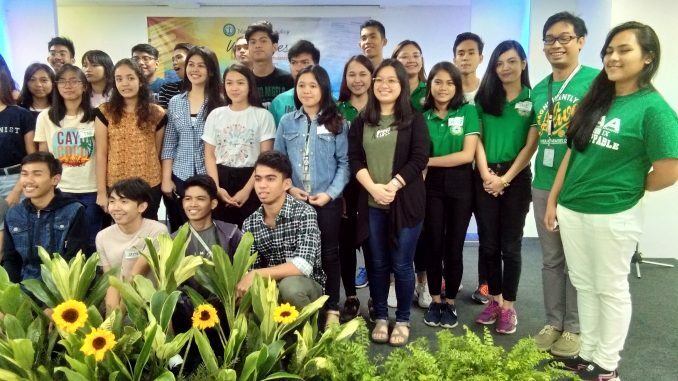 Four senior high school students from Pasay City North High School – Main Campus triumphed during the Second Interscholastic Examinations in Science and Mathematics held at the Manila Adventist College last January 27, 2019. 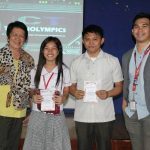 Rey-Ann Empleo (Grade and Section) placed second while Regine Salve Arcenal (Grade and Section) and Christian Jane Robert Cortez (Grade and Section) both landed in the third spot in the Science competition. Vea Eliza Briones, on the other hand, bagged the third place in the Mathematics competition. 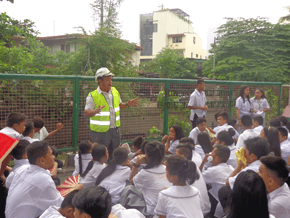 All students were accompanied by their trainer Mrs. Glenda Pedrosa, Master Teacher II. 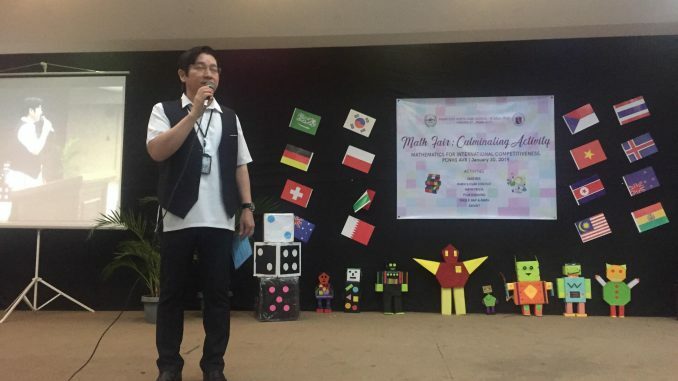 It was a fitting end to such a profound celebration of Northerners’ mathematical flair as the Mathematics Department, headed by Dr. Amor Coleta, Head Teacher III, spearheaded the culminating activity of Math Fair last January 30, 2019 at the Pasay City North High School – Main Campus AVR. After Assistant Principal Mr. Roger Escarilla delivered the opening remarks, the mechanics for the Rubik’s Cube and Jingle-Rap-a-Math Competitions were read to the participants as well as the Mathematics Trivia Contest. Groups from all year levels performed their compositions for the jingle competition. In the end, the Grade 7 group emerged victorious, closely followed by the Grade 9 and the Grade 10. Gil Vasquez of 11-Harmony, on the other hand, was hailed champion of the Rubik’s Cube Competition. Awardees for the quiz bee also received their medals afterwards. The event ended with a message of gratitude and thanks courtesy of Dr. Coleta, Mathematics Department Head. Dr. Mesada holds the microphone during his principal’s hour. 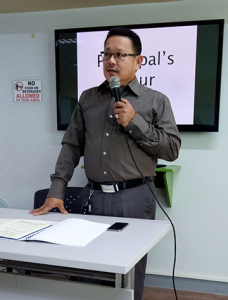 To revitalize and professionalize quality performance of every teacher in the school, Dr. Renato B. Mesada urged everyone present during his professional meeting with the Teachers, Master Teachers, Subject Coordinators, Guidance Coordinator and Department Heads on January 18, 2018, at the Library’s AVR to strengthen collaboration among them. During his meeting, he emphasized the need for monitoring and proper evaluation and interpretation of test results especially the results of third periodic outcomes in all subject areas. Dr. Mesada has also given his feedbacks on his monitoring of classes for the month of January 2018. 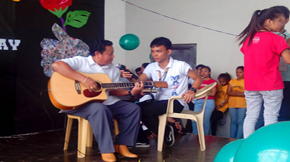 He further emphasized that new teachers should seek advice or assistance from the seasoned teachers and Department Heads the following concerns such as: classroom management, time management, deportment, and cleanliness inside and outside the classroom. The principal’s hour was held to discuss and resolve issues and concerns in the first month of the year 2018. 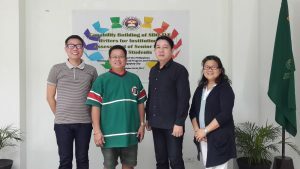 (L-R) Mr. M. Galicia, TVE Writer, Dr. R. Mesada, OIC-Principal/PSDS, Mr. R. Escarilla, Assistant Principal, and Mrs. B. Feliciano, Subject Group Head and Writer. 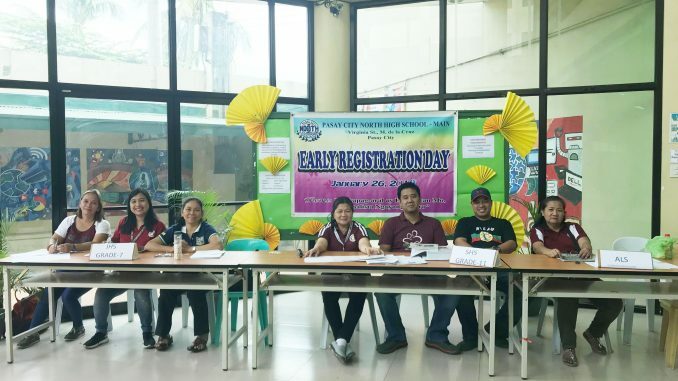 PCNHS M. dela Cruz campus participated to promote a culture of preparedness for a possible 7.2 magnitude movement of the West Valley Fault. 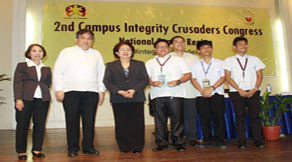 Office of the Ombudsman awards Leaders for Integrity, Victory and Education (LIVE) for it’s meritorious achievement in the Campus Integrity Crusaders (CIC) Best School Project during the 2nd CIC Congress at Philippine Science High School, February 15. 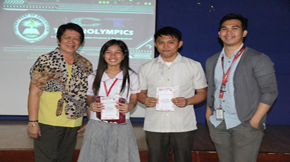 Ms. Regine Baranda, Grade 9 ICT student, wins first place the Webpage Designing during Division Technolympics held at AMA- Makati Campus, January 13, 2016. 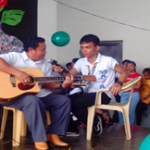 Telstra Foundation Philippines with PBSP held TELSTRA-Teletech Bayanihan Caravan 2015 last October 22- 23 , 20015 in PCNHS – Main School Grounds. They started the program by announcing their activities that would nurture every learner and encourage them to join the workshop. He sang the song Never Surrender by Cory Hart. “To all students, thank your teachers as they do their best to teach you in different learning areas. And to all teachers, never give up to teach our future heroes and love them as your own children,”Mesada said.